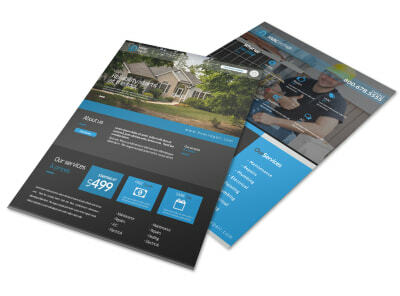 Customize our HVAC Repair Company Tri-Fold Brochure Template and more! 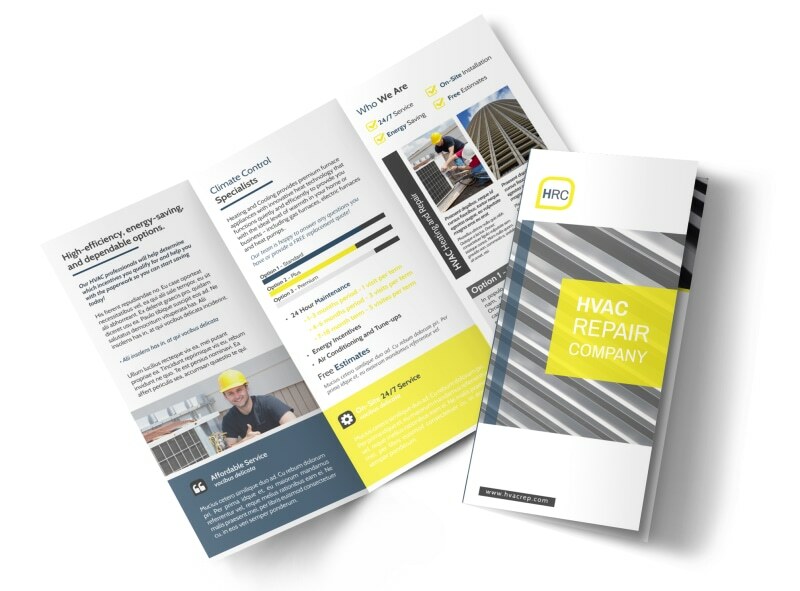 When the heat or air goes out, no one’s happy, so keep potential customers in the loop about why you’re the guy to call with this customizable brochure for your HVAC business. Use each fold of your brochure to help customers get to know you better, including providing details about your expertise and background, your process, and more. Create a brochure you are proud of now.